Scions of the Mondavi family are starting over by developing a new 50,000 gal/yr winery up a dead end road outside of Angwin. The project, the Aloft Winery, has run into opposition from neighbors as being incompatible with its remote location (an outline for a CEQA lawsuit has already been submitted!). The initial presentation of the project before the Planning Commission on Sep 5, 2018 generated enough concern that it has been continued to a date uncertain while neighbors and the owners attempt to come to some consensus. 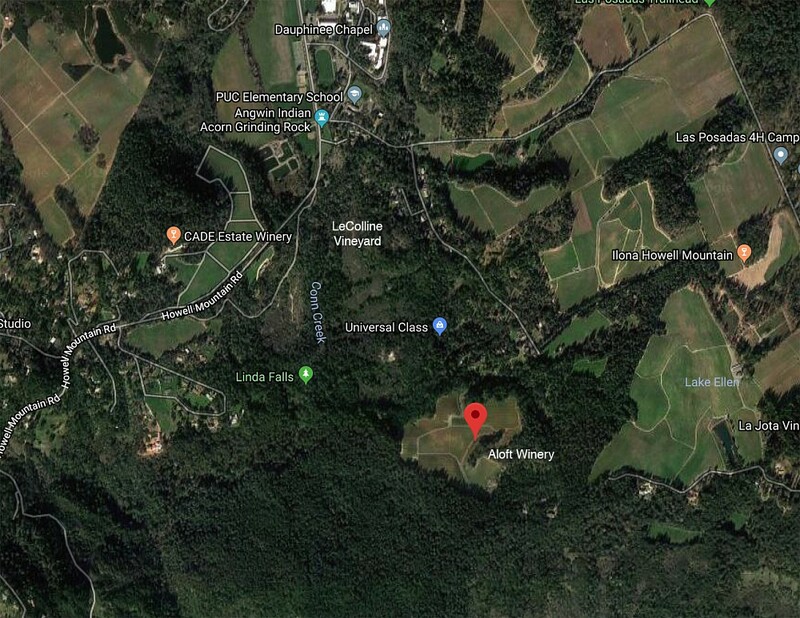 Two projects, the Dry Creek-Mt Veeder Winery and Caldwell Winery, have already been denied this year over similar concerns, more than have been denied in the previous decade. The Anthem Winery scheduled for its second hearing on Dec 5th is similarly being opposed by residents. The Mountain Peak Winery is heading for its own CEQA lawsuit on Jan 11, 2019. George Caloyannidis sent the link to the Wine Searcher article at the top of this post. There is a certain disdain in the title of the article which seems to reflect the attitude of the wine industry toward communities that push back against the expansion of commercial facilities into their rural midst. The article closes with chamber-of-commerce talking points voiced by a "Chicago-based drinks attorney": "it will spur job growth and tax revenue. Plus, a great facility like the one proposed will draw people to the area." Just what this remote rural neighborhood was looking for, I'm sure.